Since we officially opened St Bernadette Mary School in 2012 we have been perfecting our admission system and now at 2017 we think we have a very fair procedure. In previous years up to 700 children along with their very irate parents were turning up to do the entrance examination with fake birth certificates travelling from some 40km away just to gain a place in the school such is the desperation for education. The admission system now starts in early April when the children have to enrol their interest in seeking a place in KG1 along with their birth certificates and medical cards which proves they are within the correct age range and actually live in the catchment area. 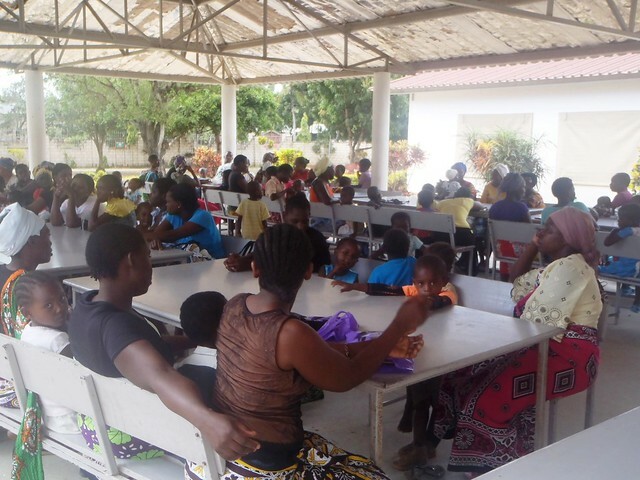 Then in early November they attend our interviews and sit an entrance examination, this is always a busy day but again with all teachers on-hand with experience of the timetable it has become a very well tuned operation. 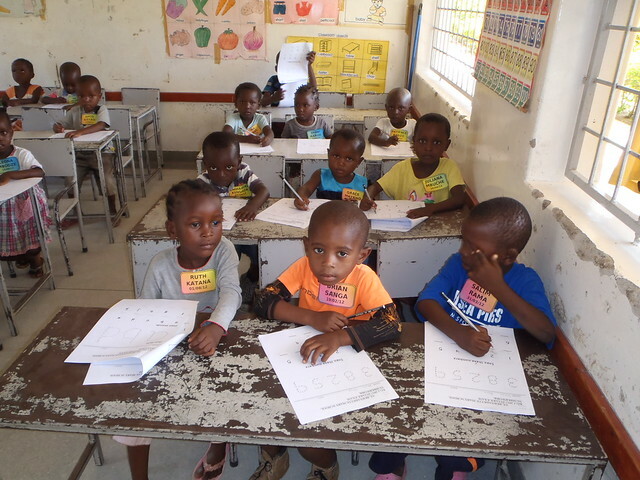 This year we had in excess of eighty children with twenty five available places in KG1 as our GLO children are assured to gain a place in the class of thirty three pupils, all turned up looking very smart and the parents were very eager that their child the successful one. Following the interviews & examinations Hemed was them given the list of pupils who did well in the examinations but now were subject to a home visit to ensure they met our criteria for admission to SBM School. He visited all the homes and came across very needy cases, its a very difficult decision but as always when Hemed submitted his reports we could see why theses children were chosen. Here are two of the children who were successful. 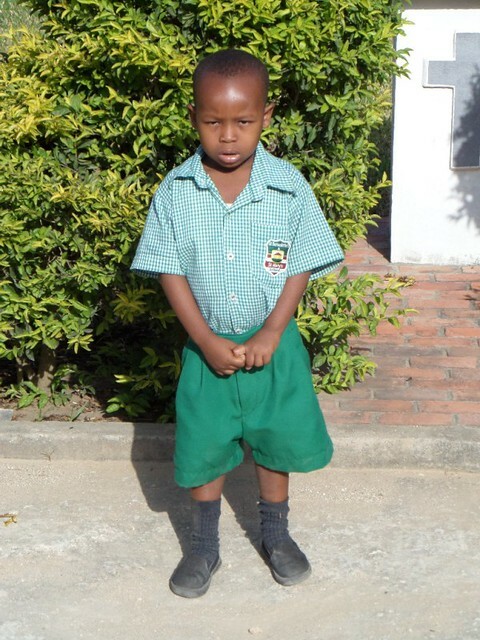 Marcus Tunje is a young boy of approximately four years old. He scored 258 out 300 marks in the interview exam. He is the second born in a family of two children. His parents separated two years ago and now he is under the custody of his mother who is the sole bread winner since the father has left the family. After his parents separated, they were forced to relocate to their maternal family and life has not been easy for them. Marcus’ mother does causal jobs in people’s farms and sometimes sells fruit & vegetables to meet the daily needs of her two children. 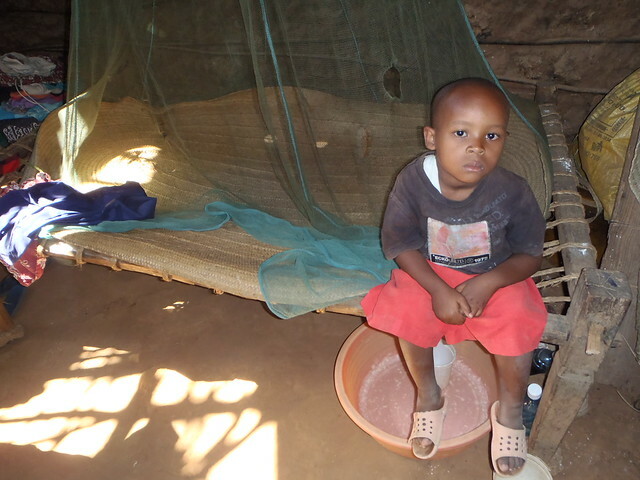 Marcus sleeps in his grandfather’s house on a traditional bed with his mum and elder brother. They don’t have a mattress and they instead sleep on a mat. As you can see Marcus looks very smart in his new SBM School uniform. 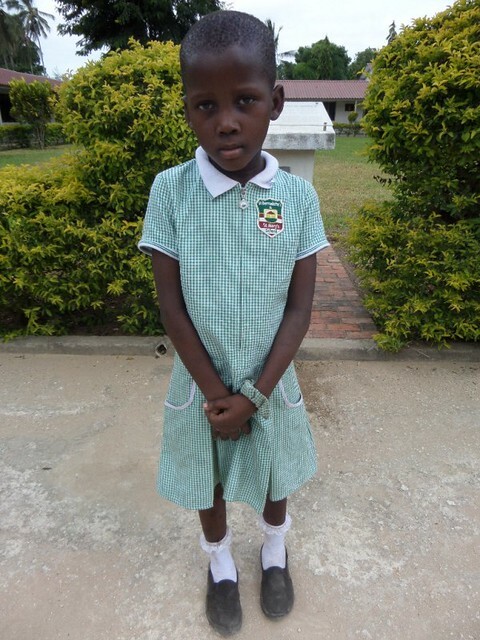 Janet Mwaka is shy girl of approximately 5 years who scored 290 out of 300 marks in the interview exam. She is the 6th born in a family of seven children. Her mother is a single mother who dropped out of school when in class seven so is very keen that her daughters do not go down the same route and gain a good education. Janet’s mother now ekes a living by doing manual jobs and as a result all the family live with their grandparents The house is very old with some parts of the wall and roof falling in. 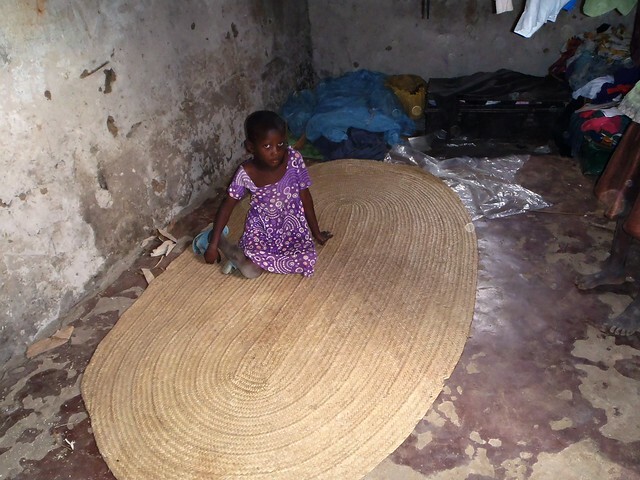 They don’t have a bed to sleep on and instead she sleeps on a mat together with her sisters. 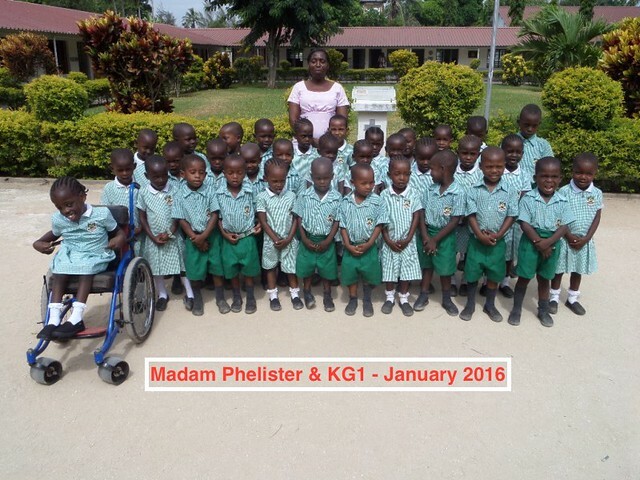 The family are very happy that Janet is now a pupil in KG1. As you can see an education is a lifeline to these children, it is the one road they can follow to escape the impoverished conditions they are forced to live in. We wish all the new additions to KG1 and other classes in SBM School a successful academic year, it is a wonderful school with dedicated teachers and support staff who all value the importance of education. Good work everyone. 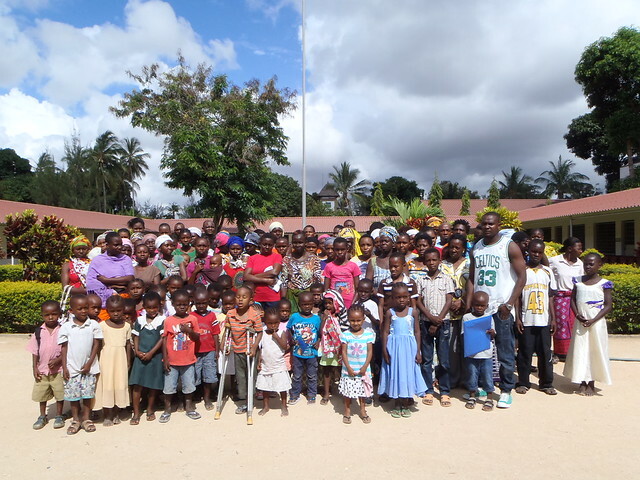 Lovely children with the chance of a bright future thanks to you Mary and Kevin and a lot of love. God bless and keep up the good work.